If you are itching to grab your boat and travel to an island paradise this summer, why not visit a thousand islands?…the 1000 Islands region of Lake Ontario and the St. Lawrence River that is. The 1000 Islands is the ultimate boater-friendly destination. Here, your boat ties you to the community. 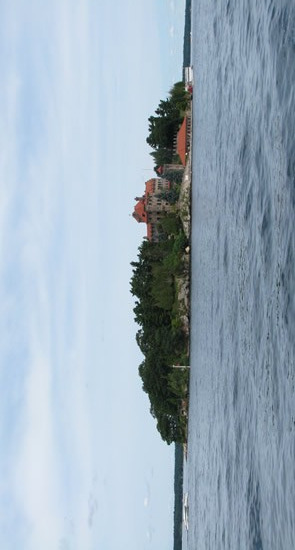 It’s easy to see why the 1000 Islands are a popular cruising destination for both power boaters and sailors. Virtually everything is accessible by boat. If you prefer being the passenger, take a 1000 Islands cruise available from Kingston, Gananoque, Rockport or Brockville and cruise among the more than 1870 Islands and see the spectacular island homes up close. Many of the islands are privately owned but public access can be found at island parks and villages throughout the region. When you are ready to dock your boat, you can stroll through the village downtowns. There are also over 30 public golf courses for golfers of every skill level. Take a step back in time and visit some of the countless museums and historical sights that can be found throughout the region. There are also a variety of family activities available. You’ll find miniature golf in Alexandria Bay, Brockville, Cornwall, Gananoque, and Watertown. Kids will love seeing the Dinosaurs at Prehistoric World in Morrisburg, or having fun on the farm at Old McDonald’s Farm Village in Sackets Harbor. You can enjoy a night at the speedways in Evans Mills, LaFargeville, Brockville or Cornwall. Or get behind the wheel yourself at various go-karting locations found at Alex Bay 500, Route 342 Karts and More in Evans Mills, Charlie’s Go-Karts in Summerstown or Kingston Family Fun World. So with the summer months finally upon us, if you are looking for a boating destination that provides fun activities, beautiful scenery, and interesting historical background, load up your boat and look no further than the 1000 Islands.